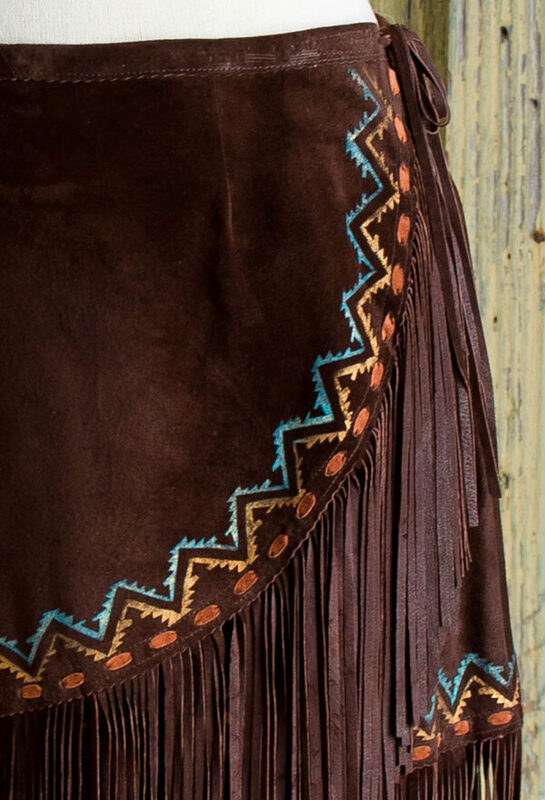 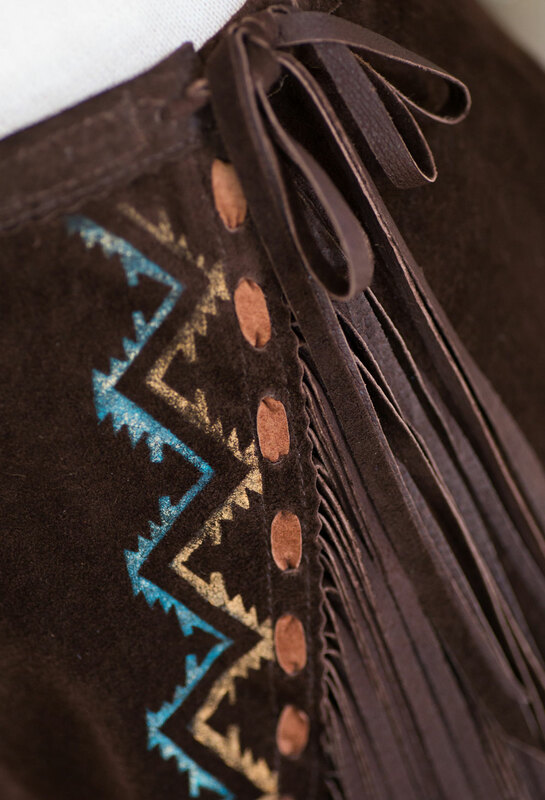 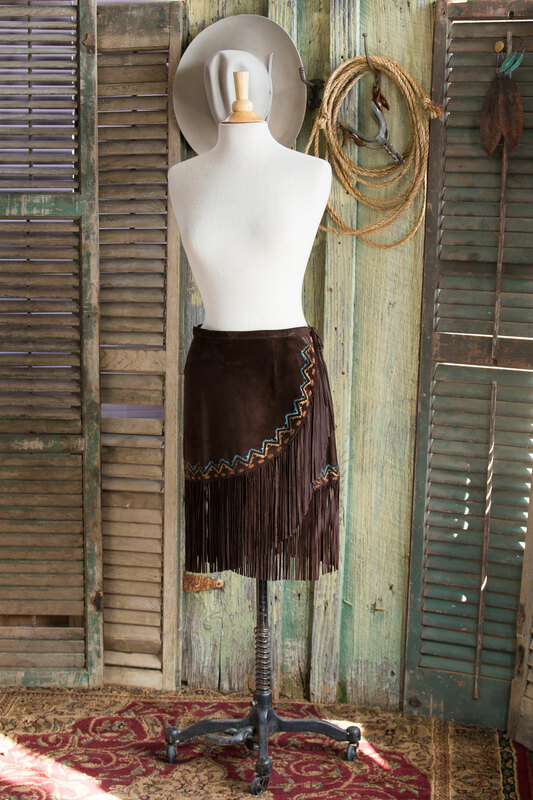 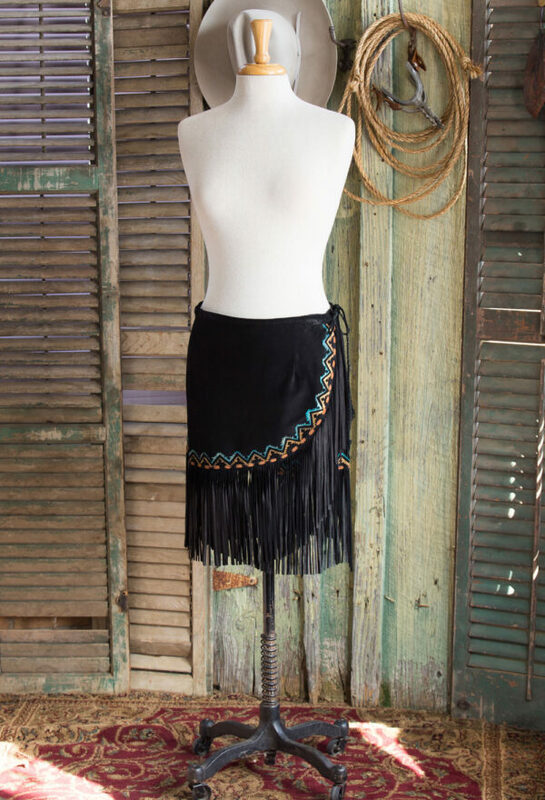 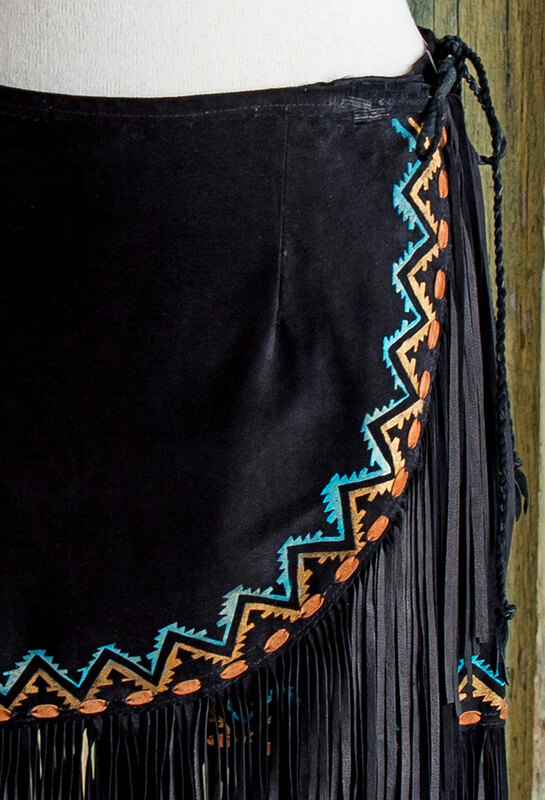 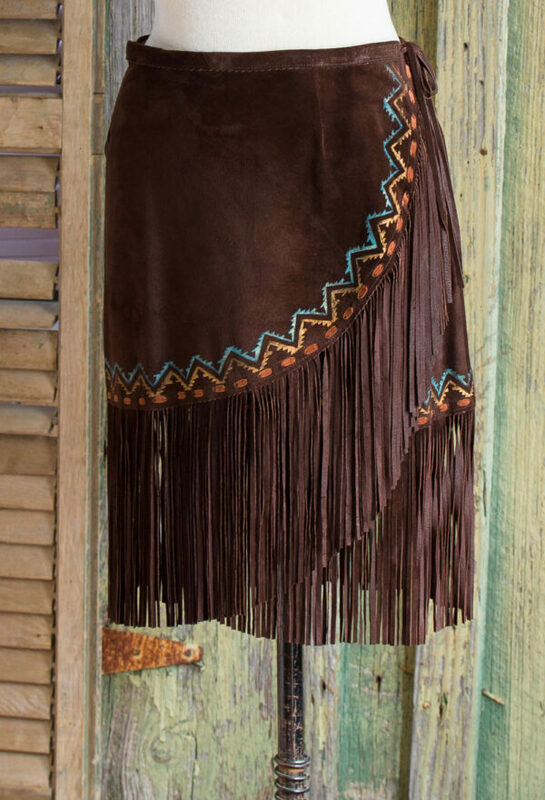 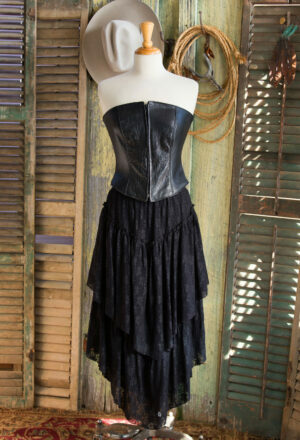 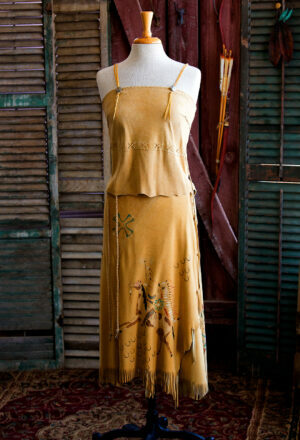 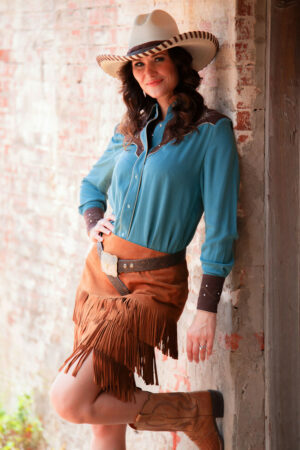 Boar suede wrap skirt with fringe and hand painted boarder. 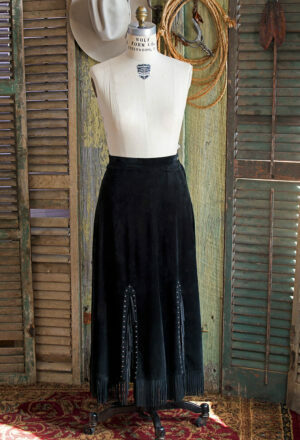 Wrap skirt closes with velcro and tie. 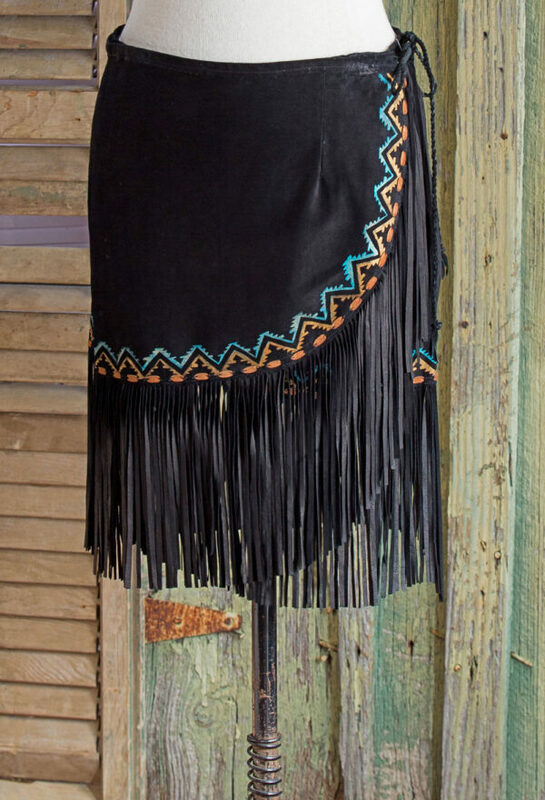 16 inches long plus the fringe.